"Section 1. All individuals are by nature equally free and independent and have certain inalienable rights, among which are those of enjoying and defending life and liberty; acquiring, possessing and protecting property and reputation; pursuing and obtaining safety and happiness; and to keep and bear arms for the defense of their person, family, property, and the state, and for lawful hunting, recreational, and other lawful purposes, which shall not be infringed." North Dakota Game & Fish Dept. 1. "Dangerous weapon" includes any switchblade or gravity knife, machete, scimitar, stiletto, sword, dagger, or knife with a blade of five inches [12.7 centimeters] or more; any throwing star, nunchaku, or other martial arts weapon; any billy, blackjack, sap, bludgeon, cudgel, metal knuckles, or sand club; any slungshot; any bow and arrow, crossbow, or spear; any weapon that will expel, or is readily capable of expelling, a projectile by the action of a spring, compressed air, or compressed gas, including any such weapon, loaded or unloaded, commonly referred to as a BB gun, air rifle, or CO2 gun; and any projector of a bomb or any object containing or capable of producing and emitting any noxious liquid, gas, or substance. "Dangerous weapon" does not include a spray or aerosol containing CS, also known as ortho-chlorobenzamalonitrile; CN, also known as alpha-chloroacetophenone; or other irritating agent intended for use in the defense of an individual, nor does the term include a device that uses voltage for the defense of an individual, unless the device uses a projectile and voltage, then the term includes the device for an individual who is prohibited from possessing a firearm under this title. However, the term includes a device that uses a projectile and may be used to apply multiple applications of voltage during a single incident. 2. "Direct supervision of an adult" means that an adult is present in such close proximity so as to be capable of observing and directing the actions of the individual supervised. a. A firearm, including any firearm with a matchlock, flintlock, percussion cap, or similar type of ignition system, manufactured before 1899. b. A replica of any firearm described in subdivision a, if the replica is not designed or redesigned for using rimfire or conventional centerfire fixed ammunition or uses rimfire or conventional centerfire fixed ammunition that is no longer manufactured in the United States and which is not readily available in the ordinary channels of commercial trade. c. A muzzleloading rifle or muzzleloading shotgun that is designed to use black powder, or a black powder substitute, and cannot use fixed ammunition. 4. "Gaming site" means any room or premises licensed by the attorney general or by a city or county governing body to conduct legal gaming operations. 5. "Government building" means a building which is owned, possessed, or used by or leased to the state of North Dakota, or any of its political subdivisions. 6. "Handgun" means any firearm that is not designed to be fired from the shoulder, which has a barrel less than sixteen inches [40.64 centimeters] long, and which is capable of firing, by the energy of an explosive in a fixed metallic cartridge, an exposed projectile through a rifled bore. The term includes all firearms that are designed to be readily modified between rifle and pistol forms, if in compliance with the National Firearms Act [26 U.S.C. 5801-5872]. 7. "Law enforcement officer" means a public servant authorized by law or by a government agency or branch to enforce the law and to conduct or engage in investigations or prosecutions for violations of law. 8. "Machine gun, submachine gun, or fully automatic rifle" means a firearm, mechanism, or instrument not requiring that the trigger be pressed for each shot, and having a reservoir, belt, or other means of storing and carrying ammunition which can be loaded into the firearm, mechanism, or instrument and fired therefrom at a rate of five or more shots to the second. 9. "Plain view" means the handgun is placed in such a location or carried in such a position as to be easily discernible by the ordinary observation of a passerby. In a motor vehicle, this includes being placed on the seat, dashboard, or in a gunrack as long as the handgun is not covered or is in any other way concealed from view. 10. "Rifle" means any firearm designed or redesigned, made or remade, and intended to be fired from the shoulder and using the energy of the explosive in a fixed metallic cartridge to fire only a single projectile through a rifled bore for each pull of the trigger. 11. "Secured" means the firearm is closed into the trunk or nonpassenger part of the vehicle; placed into a closed and secure carrying device; rendered inoperative by the use of a trigger, hammer, cylinder, slide, or barrel-locking device that renders the firearm incapable of firing until the device is unlocked and removed; or so disassembled or disabled as to be rendered incapable of firing. 12. "Short-barreled rifle" means a rifle having one or more barrels less than sixteen inches [40.64 centimeters] in length and any firearm made from a rifle, whether by alteration, modification, or otherwise, if the firearm, as modified, has an overall length of less than twenty-six inches [66.04 centimeters]. 13. "Short-barreled shotgun" means a shotgun having one or more barrels less than eighteen inches [45.72 centimeters] in length and any firearm made from a shotgun, whether by alteration, modification, or otherwise, if the firearm, as modified, has an overall length of less than twenty-six inches [66.04 centimeters]. 14. "Shotgun" means a firearm designed or redesigned, made or remade, and intended to be fired with one hand below or behind and one hand in front of the breach, which uses the energy of the explosive in a fixed shotgun shell to fire through a smooth or a rifled bore either a number of ball shot or a single projectile for each single pull of the trigger. 15. "Silencer" means any device for or attached to any firearm which will silence or deaden the sound or natural report of the firearm when it is discharged. 16. "Unloaded" means the chamber of the firearm does not contain a loaded shell. If the firearm is a revolver, then none of the chambers in the cylinder may contain a loaded shell. 62.1-01-02. Forfeiture of dangerous weapon or firearm by person arrested and convicted of crime. 1. Any firearm or dangerous weapon used or possessed while in the commission of a felony or a misdemeanor involving violence or intimidation must be seized and, upon conviction and by motion, forfeited to the jurisdiction in which the arrest was made or the jurisdiction in which the charge arose. Except as provided in chapter 29-01 for stolen property, the forfeited dangerous weapon may be, pursuant to court order, sold at public auction, sold or traded to other law enforcement agencies or dealers, retained for use, or destroyed. 2. Notwithstanding any other provision of law; and subject to the duty to return firearms to innocent owners under this section, section 29-31.1-02, and as provided in chapter 29-01 for stolen property; all firearms, as defined in section 62.1-01-01, which are forfeited, recovered as stolen and unclaimed, or abandoned to any law enforcement agency of this state or a political subdivision of this state, including the game and fish department, or that are otherwise acquired by the state or a political subdivision of the state and are no longer needed, shall be disposed of as provided in this section. Except as provided in chapter 29-01 for stolen property, this section does not apply to firearms that are seized or confiscated and disposed of under chapter 20.1-10. 3. a. Before the disposal of any firearm under this section, the agency with custody of the firearm shall use its best efforts to determine if the firearm has been lost by, or stolen or otherwise unlawfully obtained from, an innocent owner and, if so, shall provide notification to the innocent owner of its custody of the firearm. An innocent owner may also notify the agency to claim a firearm. b. After notification, the agency shall return the firearm to its innocent owner provided the owner submits sufficient proof of ownership, as determined by the agency, and pays the costs, if any, of returning the firearm to the innocent owner. Costs are limited to the actual costs of shipping to the innocent owner and associated costs from any transfer and background check fees charged when delivering the firearm to the innocent owner. c. If six months elapse after notification to the innocent owner of the custody of the firearm by an agency and the innocent owner fails to bear the costs of return of his or her firearm or fails to respond to the agency notification, or if six months elapse after notice of a claim by an innocent owner and the innocent owner fails to bear the costs of return of the innocent owner's firearm or take away the innocent owner's firearm, then the agency shall dispose of the firearm as provided in this section. 4. a. Except as provided in subdivision b of subsection 3 or subsection 5, the agency shall dispose of the firearms that it receives under subsection 2 by sale at publicauction to persons that may lawfully possess a firearm and persons licensed as firearms collectors, dealers, importers, or manufacturers under the provisions of 18 U.S.C. section 921 et seq., and authorized to receive such firearms under the terms of the licenses. b. The auction required by this subsection may occur online on a rolling basis or at live events, but in no event may the auction occur less frequently than once every year during any time the agency has an inventory of saleable firearms. The agency shall establish a procedure to notify persons of its auctions. c. The agency may not retain proceeds above that which are necessary to cover the costs of administering this subsection, with any surplus to be transferred to the general fund of the jurisdiction in which the agency is located, provided that an agency may be reimbursed for any firearms formerly in use by the agency that are sold under this section. d. Employees of the agency are not eligible to bid on the firearms at an auction conducted under this subsection, and except for the amounts authorized under subdivision c of this subsection, neither the agency nor its employees may retain any proceeds from any sale required by this subsection, nor may the agency or its employees retain any firearm required to be sold under this subsection. (3) A family member of the deceased individual makes a written request for the destruction of the firearm. b. Agencies subject to the provisions of this subsection may establish a procedure to destroy firearms and may expend necessary funds for that purpose. 6. All agencies subject to the provisions of this section shall keep records of the firearms acquired and disposed of as provided in this section, as well as the proceeds of the sales and the disbursement of the proceeds, and shall maintain these records for not less than ten years from the date on which a firearm is disposed of or on which a disbursement of funds is made, as the case may be. 7. Neither the state nor any political subdivision of the state, nor any of their officers, agents, and employees, is liable to any person, including the purchaser of a firearm, for personal injuries or damage to property arising from the sale or disposal of a firearm under subsection 4 or 5 of this section, unless an officer, agent, or employee of the state or political subdivision acted with gross negligence or recklessness. d. Is authorized by state and federal law to receive and possess his or her firearm. 62.1-01-03. Limitation on authority of political subdivision regarding firearms. 62.1-02-01. Persons who are not to possess firearms - Penalty. 1. a. A person who has been convicted anywhere of a felony offense involving violence or intimidation in violation of chapters 12.1-16 through 12.1-25 or an equivalent felony offense of another state or the federal government is prohibited from owning a firearm or having one in possession or under control from the date of conviction and continuing for a period of ten years after the date of conviction or the date of release from incarceration, parole, or probation, whichever is latest. b. A person who has been convicted anywhere of a felony offense of this or another state or the federal government not provided for in subdivision a or who has been convicted of a class A misdemeanor offense involving violence or intimidation in violation of chapters 12.1-16 through 12.1-25 or an equivalent offense of another state or the federal government and the offense was committed while using or possessing a firearm, a dangerous weapon, or, as defined in subsections 7 and 8 of section 12.1-01-04, a destructive device or an explosive, is prohibited from owning a firearm or having one in possession or under control from the date of conviction and continuing for a period of five years after the date of conviction or the date of release from incarceration, parole, or probation, whichever is latest. d. A person under the age of eighteen years may not possess a handgun except that such a person, while under the direct supervision of an adult, may possess a handgun for the purposes of firearm safety training, target shooting, or hunting. A person who violates subdivision a or b is guilty of a class C felony, and a person who violates subdivision c or d is guilty of a class A misdemeanor. f. The person committed an offense equivalent to an offense described in subdivision a or b of subsection 1 when that person was subject to juvenile adjudication or proceedings and a determination of a court under chapter 27-20 or of a court of another state or the federal government was made that the person committed the delinquent act or offense. 62.1-02-01.1. Restoration of right to possess firearm. 1. An individual who is prohibited from possessing a firearm due to a conviction of a felony under subdivision b of subsection 1 of section 62.1-02-01 may petition the district court for restoration of the individual's firearm rights. If the felony offense was committed in this state, the petition must be filed with the district court in the county where the offense occurred. If the offense was a felony of another state or the federal government, the petition must be filed with the district court in the county where the petitioner resides. A copy of the petition must be served on the state's attorney's office in the county where the petition is filed in accordance with Rule 5 of the North Dakota Rules of Civil Procedure. The state's attorney's office shall have twenty days to file a written response to the petition with the district court. d. The individual's record and reputation are such that the individual is not likely to act in a manner dangerous to the safety of others. 62.1-02-01.2. Mental disability and the possession of firearms. g. Appoints a conservator under chapter 30.1-29. 2. If the court finds that the provisions apply, the clerk of the court shall forward the individual's name and nonclinical identifying information to the bureau of criminal investigation, which shall forward the information to the federal bureau of investigation, or its successor agency, for inclusion in the national instant criminal background check system database. The court also shall notify the individual of the prohibitions of 18 U.S.C. 922(d)(4) and (g)(4), and, if relevant, of subdivision c of subsection 1 of section 62.1-02-01.
d. Changes in the petitioner's condition or circumstances relevant to the relief sought. 4. The court shall grant the petition for relief if the court finds by a preponderance of the evidence that the petitioner likely will not act in a manner dangerous to public safety and that the granting of the relief would not be contrary to the public interest. A record must be kept of the proceedings. The record is confidential and may be disclosed only to a court in the event of an appeal. An individual may file a petition for relief under this section no more than once every two years. 5. When a magistrate or court issues an order granting a petition for relief under subsection 3, the clerk of the court immediately shall forward a copy of the order to the bureau of criminal investigation in the format and medium specified by the bureau after consultation with the state court administrator. The bureau immediately shall forward a copy to the federal bureau of investigation, or its successor agency, for updating of the national instant criminal background check system database. 62.1-02-02. Sale of handgun regulated - Penalty. No person may transfer a handgun to any person who the transferor knows or has reasonable cause to believe is a person prohibited by section 62.1-02-01 from possessing a firearm. Any person who violates this section is guilty of a class A misdemeanor. A person who possesses, obtains, receives, sells, or uses a short-barreled rifle or a short-barreled shotgun is guilty of a class C felony. This section does not apply to a law enforcement officer who possesses, obtains, receives, sells, or uses a short-barreled rifle or a short-barreled shotgun in the course of or in connection with the officer's official duties, to a member of the armed forces of the United States or national guard, organized reserves, state defense forces, or state guard organizations who possesses or uses a short-barreled rifle or short-barreled shotgun issued to the member by that organization and while on official duty, or to any person who complies with the National Firearms Act [26 U.S.C. 5801-5872]. 62.1-02-04. Possession of firearm or dangerous weapon in liquor establishment prohibited - Penalty - Exceptions. 1. An individual who enters or remains in that part of the establishment that is set aside for the retail sale of alcoholic beverages and the consumption of purchased alcoholic beverages or used as a gaming site at which bingo is the primary gaming activity while that individual knowingly possesses a firearm or dangerous weapon is guilty of a class A misdemeanor. In addition, an individual is guilty of an offense under this section for the knowing possession of a device that uses a projectile and voltage in the part of an establishment that is set aside for the retail sale and consumption of alcoholic beverages. a. A law enforcement officer. d. A designee of the proprietor when the designee is displaying an unloaded firearm or dangerous weapon as a prize or sale item in a raffle or auction. e. Private security personnel while on duty for the purpose of delivering or receiving moneys used at the liquor establishment or at the gaming site at which bingo is the primary gaming activity. f. The restaurant part of an establishment if an individual under twenty-one years of age is not prohibited in that part of the establishment. 1. An individual who knowingly possesses a firearm or dangerous weapon at a public gathering is guilty of a class B misdemeanor. For the purpose of this section, "public gathering" means an athletic or sporting event, a school, a church, and a publicly owned or operated building. m. A municipal court judge, a district court judge, a staff member of the office of attorney general, and a retired North Dakota law enforcement officer, if the individual maintains the same level of firearms proficiency as is required by the peace officer standards and training board for law enforcement officers. A local law enforcement agency shall issue a certificate of compliance under this section to an individual who is proficient. 3. This section does not prevent any political subdivision from enacting an ordinance that is less restrictive than this section relating to the possession of firearms or dangerous weapons at a public gathering. An enacted ordinance supersedes this section within the jurisdiction of the political subdivision. 62.1-02-06. Discharge of firearm within city - Penalty - Application. A person who discharges a firearm within a city is guilty of a class B misdemeanor. This section does not apply to the lawful discharge of firearms by law enforcement officers, by citizens in defense of person or property, or by participants in lawful activities in which discharge of firearms is a recognized part of the activity, including shooting galleries and ranges. 62.1-02-07. Use of firearm by certain minors prohibited - Penalty. Any parent, guardian, or other person having charge or custody of any minor under fifteen years of age who permits that minor to carry or use in public any firearm of any description loaded with powder and projectile, except when the minor is under the direct supervision of the parent, guardian, or other person authorized by the parent or guardian, is guilty of a class B misdemeanor. 62.1-02-08. Illegal firearms, ammunition, or explosive materials business. 1. A person is guilty of an offense if the person supplies a firearm, ammunition, or explosive material to, or procures or receives a firearm, ammunition, or explosive material for, a person prohibited by this title from receiving it if the transferor knows or has reasonable cause to believe that such person is prohibited by section 62.1-02-01 from receiving or possessing it. b. Engaged in the forbidden transaction under circumstances manifesting the actor's readiness to supply or procure on other occasions in disregard of lawful restrictions. Otherwise the offense is a class A misdemeanor. C felony if the person possesses an explosive or destructive device in a government building without the written consent of the government agency or person responsible for the management of the building. 1. A member of the armed forces of the United States or national guard, organized reserves, state defense forces, or state guard organizations while possessing the firearm issued to the member by the organization and while on official duty. 2. A law enforcement officer. 3. An individual possessing a valid concealed weapons license from this state or who has reciprocity under section 62.1-04-03.1 with a handgun, or with a rifle or shotgun if not in the field hunting or trapping. 4. An individual in the field engaged in lawful hunting or trapping of nongame species or fur-bearing animals. 5. A security guard or private investigator properly licensed to carry firearms. 6. An individual possessing a valid special permit issued pursuant to section 20.1-02-05. 62.1-02-10.1. Carrying a loaded firearm in vehicle while hunting - Penalty. An individual who is in the field engaged in the lawful hunting of big game or small game and who violates section 62.1-02-10 is not subject to a criminal penalty but is guilty of a class 2 noncriminal offense under chapter 20.1-01. 62.1-02-11. Possessing explosive prohibited - Exception - Penalty. No person may have in custody, possession, or control any nitroglycerin, dynamite, or any other dangerous or violent explosive, unless the explosive is carried in the prosecution of or to effect a lawful and legitimate purpose. Any person violating this section is guilty of a class C felony. Repealed by S.L. 2005, ch. 598, § 2. 62.1-02-13. Possession of secured firearm - Prohibition by employer prohibited. a. Prohibit any customer, employee, or invitee from possessing any legally owned firearm, if the firearm is lawfully possessed and locked inside or locked to a private motor vehicle in a parking lot and if the customer, employee, or invitee is lawfully in the area. b. Make a verbal or written inquiry regarding the presence of a firearm inside or locked to a private motor vehicle in a parking lot or make an actual search of a private motor vehicle in a parking lot to ascertain the presence of a firearm within the vehicle. In addition, a public or private employer may not take any action against a customer, employee, or invitee based upon verbal or written statements of any party concerning possession of a firearm stored inside a private motor vehicle in a parking lot for lawful purposes. A search of a private motor vehicle in the parking lot of a public or private employer to ascertain the presence of a firearm within the vehicle may only be conducted by an on-duty law enforcement officer. c. Condition employment upon the fact that an employee or prospective employee holds or does not hold a concealed weapons license or any agreement by an employee or a prospective employee that prohibits an employee from keeping a legal firearm locked inside or locked to a private motor vehicle in a parking lot, if the firearm is kept for lawful purposes. d. Prohibit or attempt to prevent any customer, employee, or invitee from entering the parking lot or the employer's place of business because the customer's, employee's, or invitee's private motor vehicle contains a legal firearm being carried for lawful purposes, that is out of sight within the customer's, employee's, or invitee's private motor vehicle. e. Terminate the employment of or otherwise discriminate against an employee, or expel a customer or invitee for exercising the constitutional right to keep and bear arms or for exercising the right of self-defense as long as a firearm is never exhibited on company property for any reason other than lawful defensive purposes. 2. A public or private employer has no duty of care related to the actions prohibited under this section. 3. A public or private employer is not liable in a criminal or civil action based on actions or inactions taken in compliance with this section. The immunity provided in this subsection does not apply to civil actions based on actions or inactions of public or private employers that are unrelated to compliance with this section. 4. This section does not expand any existing duty, or create any additional duty, on the part of a public or private employer, property owner, or property owner's agent. 5. A person aggrieved under this section may bring a civil action for violation of rights protected under this section. In any successful action brought by a customer, employee, or invitee aggrieved under this section, the court shall award all reasonable personal costs and losses suffered by the aggrieved person as a result of the violation of rights under this section. In any action brought under this section, the court shall award all court costs and attorney's fees to the prevailing party. a. Any public or nonpublic elementary school, middle school, or high school property. b. Any correctional facility or institution. c. Property owned or leased by a public or private employer or the landlord of a public or private employer upon which are conducted substantial activities involving national defense, aerospace, or homeland security. d. Property owned or leased by a public or private employer or the landlord of a public or private employer upon which the primary business conducted is the manufacture, use, storage, or transportation of combustible or explosive materials regulated under state or federal law, or property owned or leased by an employer who has obtained a permit required under 18 U.S.C. 842 to engage in the business of importing, manufacturing, or dealing in explosive materials on the property. e. A motor vehicle owned, leased, or rented by a public or private employer or the landlord of a public or private employer. f. Any other property owned or leased by a public or private employer or the landlord of a public or private employer upon which possession of a firearm or other legal product by a customer, employee, or invitee is prohibited under any federal law, contract with a federal governmental entity, or other law of this state. 62.1-03-01. Carrying handgun - Restrictions - Exceptions. a. Between the hours of one hour before sunrise and one hour after sunset, the handgun is unloaded and either in plain view or secured. b. Between the hours of one hour after sunset and one hour before sunrise, the handgun is unloaded and secured. a. An individual possessing a valid concealed weapons license from this state or who has reciprocity under section 62.1-04-03.1.
b. An individual on that person's land, or in that individual's permanent or temporary residence, or fixed place of business. c. An individual while lawfully engaged in target shooting. d. An individual while in the field engaging in the lawful pursuit of hunting or trapping. However, nothing in this exception authorizes the carrying of a loaded handgun in a motor vehicle. e. An individual permitted by law to possess a firearm while carrying the handgun unloaded and in a secure wrapper from the place of purchase to that person's home or place of business, or to a place of repair or back from those locations. f. Any North Dakota law enforcement officer. g. Any law enforcement officer of any other state or political subdivision of another state if on official duty within this state. h. Any armed security guard or investigator as authorized by law when on duty or going to or from duty. i. Any member of the armed forces of the United States when on duty or going to or from duty and when carrying the handgun issued to the member. j. Any member of the national guard, organized reserves, state defense forces, or state guard organizations, when on duty or going to or from duty and when carrying the handgun issued to the member by the organization. k. Any officer or employee of the United States duly authorized to carry a handgun. l. An individual engaged in manufacturing, repairing, or dealing in handguns or the agent or representative of that individual possessing, using, or carrying a handgun in the usual or ordinary course of the business. m. Any common carrier, but only when carrying the handgun as part of the cargo in the usual cargo carrying portion of the vehicle. 62.1-03-02. Selling handgun to minors prohibited - Penalty. Any person who sells, barters, hires, lends, or gives any handgun to any minor is guilty of a class A misdemeanor. This section does not prohibit a person from lending or giving a handgun to a minor if the minor will be using the handgun under the direct supervision of an adult and for the purpose of firearm safety training, target shooting, or hunting. 62.1-03-03. Copy of federal license submitted to law enforcement officials. A retail dealer licensed to sell handguns by the federal government shall send a copy of the license, within seven days after receiving it, to the chief of police of the city and the sheriff of the county in which the dealer is licensed to sell handguns. No person, in purchasing or otherwise securing delivery of a handgun or in applying for a license to carry the handgun concealed, may give false information or offer false evidence of the person's identity. 62.1-03-05. Prohibited alterations to firearms. A person may not change, alter, remove, or obliterate any mark of identification on a firearm, including the name of the maker, model, or manufacturer's number or knowingly possess a firearm on which these alterations have been made. Possession of any firearm upon which any identification mark has been changed, altered, removed, or obliterated creates a rebuttable presumption that the possessor made the alterations. Any person who violates any provision of this chapter, for which another penalty is not specifically provided, is guilty of a class A misdemeanor. 4. Carried by any person permitted by law to possess a handgun unloaded and in a secure wrapper from the place of purchase to that person's home or place of business, or to a place of repair, or back from those locations. 5. A bow and arrow, rifle, shotgun, unloaded handgun, or a weapon that will expel, or is readily capable of expelling, a projectile by the action of a spring, compressed air, or compressed gas including any such weapon commonly referred to as a BB gun, air rifle, or CO2 gun, while carried in a motor vehicle. 62.1-04-02. Carrying concealed firearms or dangerous weapons prohibited. An individual, other than a law enforcement officer, may not carry any firearm or dangerous weapon concealed unless the individual is licensed to do so or exempted under this chapter. 62.1-04-03. License to carry a firearm or dangerous weapon concealed - Class 1 firearm license and class 2 firearm and dangerous weapon license. f. The applicant is not prohibited under federal law from owning, possessing, or having a firearm under that individual's control. (4) Evidence that the applicant, during military service, was found to be qualified to operate a firearm. b. An applicant for a class 2 firearm and dangerous weapon license is required to successfully complete the open book test offered for the class 1 firearm license. c. A North Dakota resident who has a valid class 1 firearm license also may carry a class 2 dangerous weapon without any further testing required. Class 1 and class 2 permits are equally valid in this state. d. Additional testing is not required to renew a class 2 firearm and dangerous weapon license. A class 1 firearm license may be renewed upon successful completion of the class 1 firearm requirements within thirty days before submission of the application for renewal. 3. The director of the bureau of criminal investigation shall send by mail to a holder of a license a notice of the procedures for renewal of the license issued under this section. The director shall give the notice at least one hundred fifty days but not more than one hundred eighty days before the expiration of the license. 4. The bureau of criminal investigation is required to process the application and make a determination within sixty days of receipt of the properly completed application. 5. The fee for a concealed weapons license must be credited to the attorney general's operating fund. All fees must be paid before the license application may be processed by the director of the bureau of criminal investigation. The attorney general shall list the fees associated with the license, including the costs of the fingerprint-based federal criminal history record check, in the attorney general's administrative rules. b. Two sets of classifiable fingerprints. The two sets of classifiable fingerprints are not required for a renewal of a concealed weapons license. The license is valid for five years. The original license must be delivered to the licensee and an electronic copy must be preserved for six years by the director. Access to license information must be available to law enforcement through electronic means for official law enforcement purposes. The applicant or licenseholder shall notify the director of the bureau of criminal investigation of any change of address or any other material fact which would affect the restrictions on or the need for the license. 7. The director of the bureau of criminal investigation may deny an application or revoke or cancel a license after it has been granted for any material misstatement by an applicant in an application for the license or any violation of this title. The director of the bureau of criminal investigation shall disclose to the applicant the specific reason for denial or revocation of the license. 8. The applicant may appeal a denial or revocation of this license to the district court of Burleigh County. a. To a governmental agency or court for a law enforcement purpose, including the investigation, prosecution, or punishment of a violation of law. b. To a court to aid in a decision concerning sentence, probation, or release pending trial or appeal. c. Pursuant to a court order or a judicial, legislative, or administrative agency subpoena issued in this state. 10. The attorney general may adopt any rules necessary to implement this title. A person who has a valid license issued by another state to carry a concealed firearm or dangerous weapon in that state and whose state grants to residents of this state the right to carry a concealed firearm or dangerous weapon without requiring a separate license to carry a concealed firearm or dangerous weapon issued by that state may carry, subject to the provisions of this state's law, a concealed firearm or dangerous weapon in this state, and the other state's license is valid in this state. 62.1-04-04. Producing license on demand. Every person while carrying a concealed firearm or dangerous weapon, for which a license to carry concealed is required, shall have on one's person the license issued by this or another state and shall give it to any law enforcement officer for an inspection upon demand by the officer. The failure of any person to give the license to the officer is prima facie evidence that the person is illegally carrying a firearm or dangerous weapon concealed. Any person who violates this chapter is guilty of a class A misdemeanor. 62.1-05-01. Possession and sale of machine guns, automatic rifles, silencers, and bombs - Penalty - Forfeiture. 1. A person may not purchase, sell, have, or possess a machine gun, fully automatic rifle, silencer, or bomb loaded with explosives or poisonous or dangerous gases, or any other federally licensed firearm or dangerous weapon unless that person has complied with the National Firearms Act [26 U.S.C. 5801-5872]. 2. A person who violates this section is guilty of a class C felony. Upon arrest of that person, the firearm or dangerous weapon must be seized. Upon conviction of the person and motion to the court in which the conviction occurred, the firearm or dangerous weapon must be forfeited to the jurisdiction in which the arrest was made. The firearm or dangerous weapon may be sold at public auction, retained for use, or destroyed pursuant to the court's order. If a qualified local program as defined under section 12.1-32-02.2 has paid a reward for information that resulted in forfeiture of the item and the item has been sold, the jurisdiction shall, after payment of expenses for forfeiture and sale, repay the qualified local program for the reward that it has paid. 62.1-05-02. Persons exempt from chapter. 1. The authorized agent and a servant of a person who has a license to purchase, sell, have, or possess a machine gun, submachine gun, fully automatic rifle, silencer, or a bomb loaded with explosives or poisonous or dangerous gases. 2. Any officer or member of a duly authorized military organization while on official duty and using the firearm or dangerous weapon issued to the officer or member by that organization. 3. A North Dakota law enforcement officer. 4. Any federal officer authorized by the federal government to have or possess a machine gun, submachine gun, fully automatic rifle, silencer, or bomb loaded with explosives or poisonous or dangerous gases. 62.1-05-03. Chief law enforcement officer certification - Certain firearms. a. "Certification" means the participation and assent of the chief law enforcement officer necessary under federal law for the approval of the application to transfer or make a firearm. A chief law enforcement officer is not required to make any certification under this section the officer knows to be untrue, but the officer may not refuse to provide certification based on a generalized objection to private persons or entities making, possessing, or receiving firearms or any certain type of firearm the possession of which is not prohibited by law. b. "Chief law enforcement officer" means any official, or the designee of the official, the bureau of alcohol, tobacco, firearms and explosives, or any successor agency, identified by regulation as eligible to provide any required certification for the making or transfer of a firearm. c. "Firearm" has the same meaning as provided in the National Firearms Act [26 U.S.C. § 5845(a)]. 2. When a chief law enforcement officer's certification is required by federal law or regulation for the transfer or making of a firearm, the chief law enforcement officer, within thirty days of receipt of a request for certification, shall provide the certification if the applicant is not prohibited by law from receiving or possessing the firearm or is not the subject of a proceeding that could result in the applicant being prohibited by law from receiving or possessing the firearm. If the chief law enforcement officer is unable to make a certification as required by this section, the officer shall provide the applicant with a written notification of the denial and the reason for this determination. 3. In making the certification required by subsection 2, a chief law enforcement officer or designee may require the applicant to provide only the information as is required by federal or state law to identify the applicant and conduct a criminal background check, including a check of the national instant criminal background check system, or to determine the disposition of an arrest or proceeding relevant to the applicant's eligibility to lawfully possess or receive a firearm. A chief law enforcement officer may not require access to or consent for an inspection of any private premises as a condition of making a certification under this section. 4. Chief law enforcement officers and their employees who act in good faith are immune from liability arising from any act or omission in making a certification as required by this section. 5. An applicant whose request for certification is denied may appeal the chief law enforcement officer's decision to the district court for the county in which the applicant resides in accordance with the procedures provided in section 28-34-01. If the court finds that the applicant is not prohibited by law from receiving or possessing the firearm, or is not the subject of a proceeding that could result in the prohibition, or that there is insufficient evidence to support the chief law enforcement officer's determination that the officer cannot truthfully make the certification, the court shall order the chief law enforcement officer to issue the certification and award court costs and reasonable attorney's fees to the applicant. All U.S. citizens, who are at least 18 years of age, have resided in the state for at least 30 days, and are not incarcerated under felony conviction, are eligible to vote in North Dakota. There is no voter registration in North Dakota. Residents can simply show up at the polls on Election Day with valid identification. If you know you will be unable to make it to the polls on Election Day, be sure your voice is heard by voting via absentee ballot! To vote by absentee ballot, you may request an application by contacting your County Auditor. When applying be sure to include your name, address (both where you are registered to vote and where you want the ballot mailed), your signature, the election in which you wish to vote, and the reason why you need to vote absentee. In order for your vote to count, return your completed ballot no later than midnight the day prior to Election Day. You may also vote absentee in person at your County Auditor's office as early as 40 days prior to the election. North Dakota has an open primary election system, meaning that all voters may vote in either of the party primaries, but not in more than one. For additional information on the elections, please contact the North Dakota Secretary of State, Elections Division at 701/328-4146. For information on specific party requirements, contact your State Republican Party at 701/255-0030, or your State Democratic Party at 701/255-0460. PROTECT YOUR 2nd AMENDMENT RIGHTS BY EXERCISING YOUR RIGHT TO VOTE! Must be a resident of North Dakota for 1 year as evidenced by ND drivers license or ND ID card. ND drivers license or ND ID card must be carried (or the individual must have a digital image of the license). 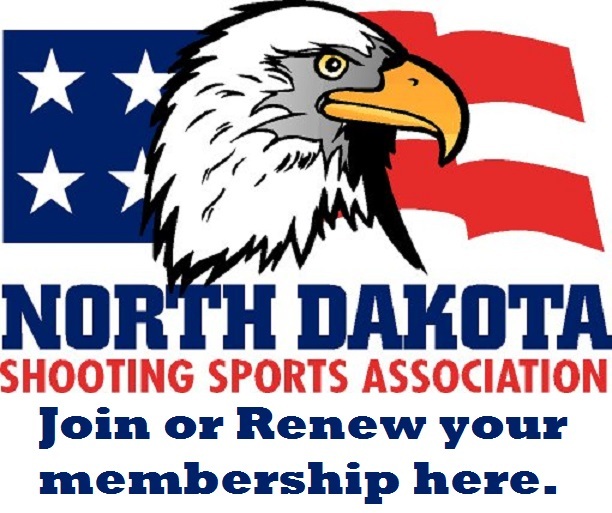 Constitutional Carry only allows concealed carry of a firearm by a North Dakota resident within the boundaries of North Dakota. You will need a concealed weapon license to carry concealed outside ND. Reciprocity with other states applies only if you possess a valid concealed weapon license.